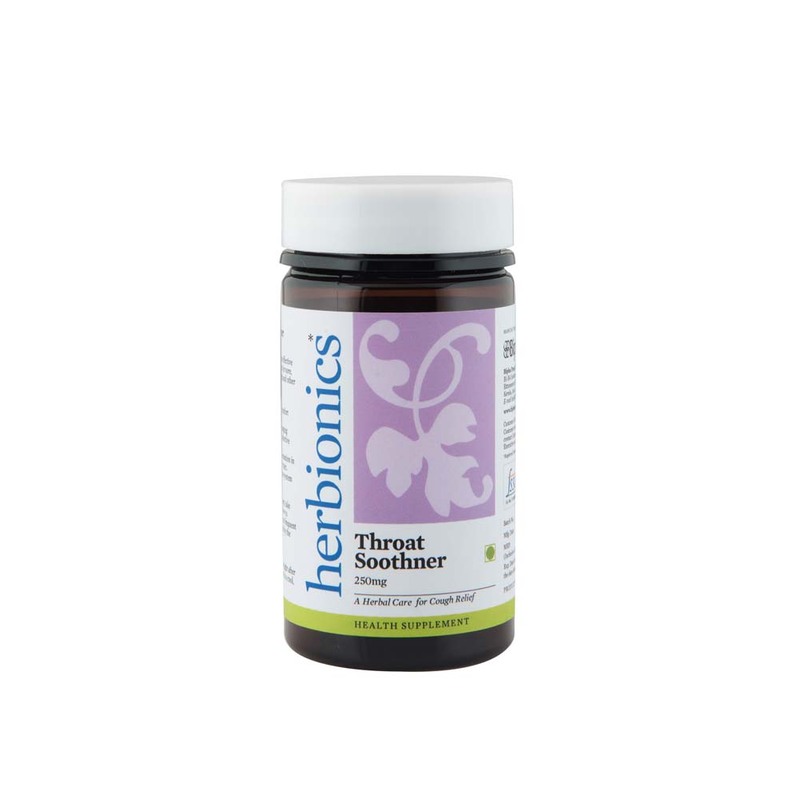 Throat SoothenerÂ is an effective ayurvedic formulation for sore, scratchy throats, cough, and other respiratory ailments.Helps soothe and comfort sore or itchy throat.Useful in productive & Non productive cough. Abbies webbiana (Leaf), Elettaria cardamomum (Fruit), Piper nigrum (Fruit), Piper longum (Fruit), Zingiber officinale (Rhizome). As a dietary supplement, take a tablet and slowly allow it to dissolve in the mouth at frequent intervals.